Great and simple adhesion solution! 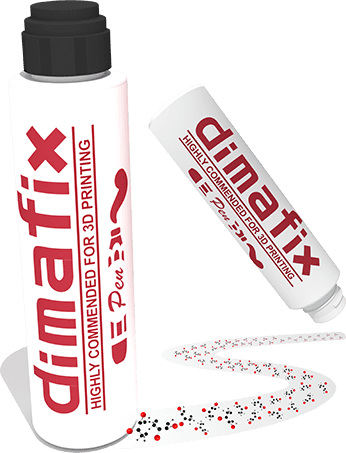 Dimafix – Pen maintains the same adhesion properties as the Dimafix adhesive aerosol spray that offers a strong bond between the first layer and the build plate when the bed is heated above 60ºC. Below 60ºC Dimafix becomes inactive, so prints can easily be removed from the build plate. DimaFix – Pen provides a strong bond between glass and plastic that is easy to break when needed. Dimafix is completely water soluble, so cleaning the build plate is an easy process. 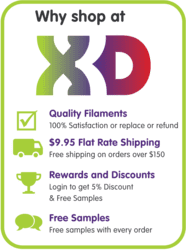 The Dimafix – Pen can be used more than 100 times and does not contain any gas. 60 – 75ºC: Average adhesion, for simple geometries. 75 – 95ºC: High adhesion, for complex geometries and lengthy prints. Wear protective eye goggles and gloves when using and applying the product. This product can cause serious eye irritation if it gets in the eyes.